Customers expect a certain level of quality from the companies they do business with. Your website is your marketing hub. It is the face of your business online. It should be focused on serving the needs of your ideal customer. That is where we come in, our custom websites position you as the go-to business in your market. 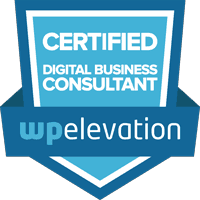 Elevate your online presence with a custom crafted lead generating website that establishes you as the local market leader. Faribault Web Design is Minnesota's small business website specialist. Our Next Generation Websites are online marketing platforms that strategically enhance your brand, your message, and your visibility. Why have a mere website when you can have an Online Marketing Machine? In today's highly competitive online marketplace, you need more than a web designer to succeed. You need an experienced marketing partner that will work with you and look after your best interests. The Internet is littered with pretty websites that get little or no visitors. 97% of all websites simply cannot be found. Our websites are built from the ground up with search engines in mind and a strategy to convert your visitors into customers. 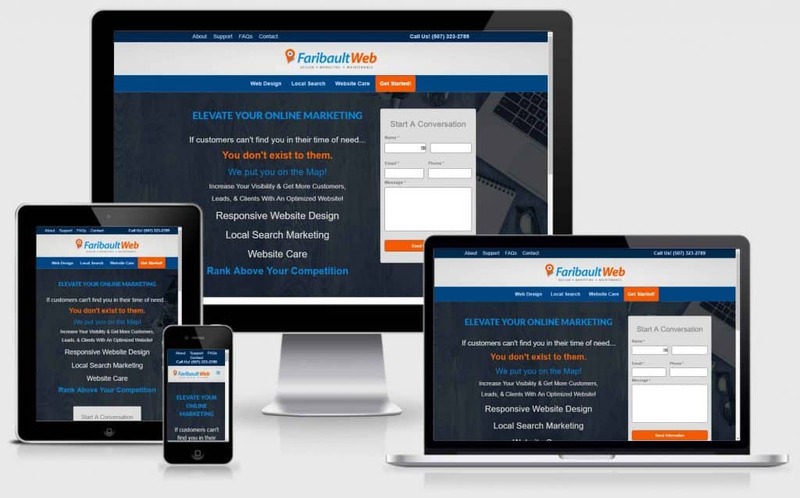 Faribault Web uses the most current and best SEO practices that enable searchers to find you, rather than your competition. Content Management System - Easily edit and add new content from your web browser. On-page Optimization - Increases your online visibility. Business Blog - Compelling articles deliver highly targeted traffic to your site. Google Analytics Setup - Measures the performance of your marketing efforts. If your website is underperforming and not meeting your business goals, it's time to upgrade to one that will. Our next generation websites are data-driven to give you a competitive edge over your competition. Automated Email Marketing System - Stay in touch with your prospects and customers. SMS Review System - Easily capture Google reviews. Managed Web Hosting - High-Speed web servers deliver your content fast! We do all the geeky stuff. 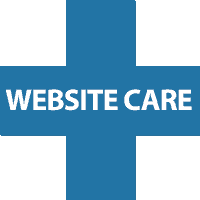 Website Care - We take care of all the details so you can run your business. E-commerce Solutions - Sell your products and services online. Local Search Optimization - Our managed programs create traffic and sales. Photo Galleries - Create an online showroom and display your products and services.